This MP3 file is from the album The hands the dream / Daniel Herscovitch, piano. Duration: 3 mins, 18 sec. Recorded/performed at: Studios of the Australian Chamber Orchestra, on 1990. 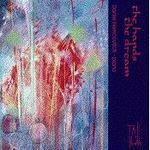 CD: The hands the dream / Daniel Herscovitch, piano. - Book: Views across the moat / edited by Marguerite Boland and Allan Walker. - Book: Australasian music research 2-3 / editor: Royston Gustavson ; assistant editors: Suzanne Cole, Jennifer Hill.